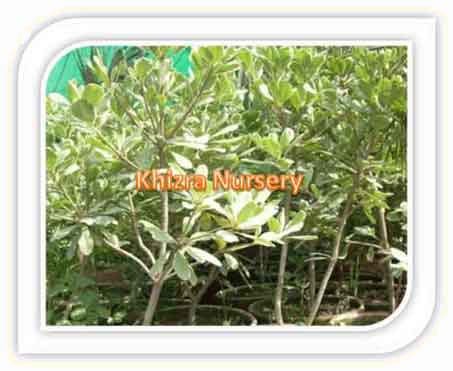 Pittosporum tobira is ever green shrub to a small tree. It has leathery leaves. 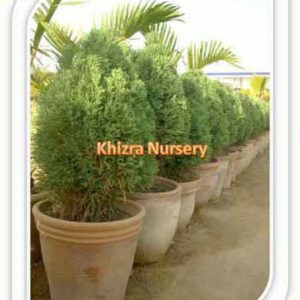 It is used as landscape plant and also in potted plants it is used as interiorscapes as well. Can be used as hedges and screens. mounding shape make Pittosporum a popular landscape shrub. However, rapid growth when young makes this a fairly high maintenance shrub, requiring frequent pruning but growth does slow with age. Clusters of creamy white flowers appear in spring, with a fragrance similar to orange blossoms, but they are rarely seen on shrubs because they are frequently pruned off with the regular trimming required to keep the plant in check. It is really better suited as a small tree with lower branches removed to reveal the multistemmed trunk, and branches should be left unpruned to allow the flowers to show in the spring. Prune after the flower display. Careful training and pruning can create an ornamental small tree form. Excellent when used as a specimen, or informal shrubbery border, Pittosporum can be maintained at any desired height by selective hand pruning. The stiff branches with dense foliage can be sheared if this is begun when they are young. 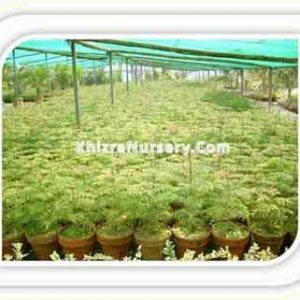 Plant on four to five foot centers for mass planting. Pittosporum is highly salt-tolerant and grows well on a variety of soils in full sun to partial shade. Growth rate is rapid on well-drained, acid soil of average fertility, although Pittosporum can tolerate occasional drought. 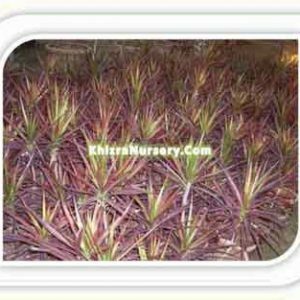 It does not tolerate poorly drained or wet soil since root rot quickly infects and kills the root system. This often occurs along foundations where drainage is poor or rain water accumulates from the roof or gutters. Propagation of the species is by cuttings or by seed. Problems include cottony cushion scale and aphids. Micronutrient deficiencies become obvious on soils with a high pH.